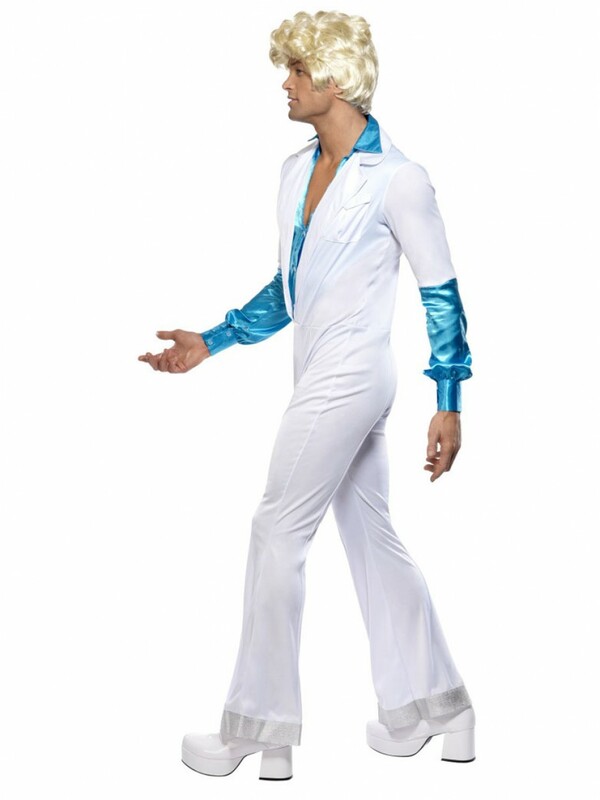 Take to the dance floor with this fun Disco Costume which includes an all-in-one 1970s style Jumpsuit with attached Shirt. 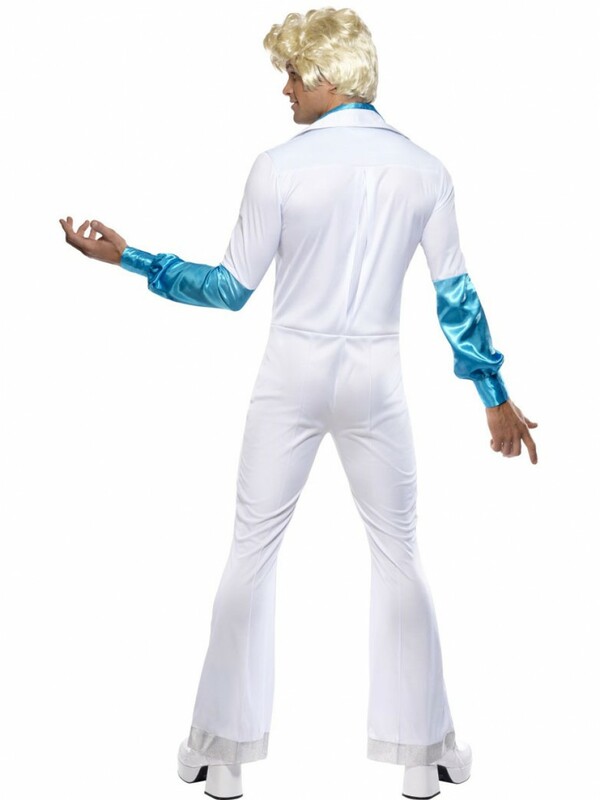 Transform into the ultimate disco dude with this fantastic seventies themed Disco Costume. The white all-in-one jumpsuit has a classic 70s look with huge flared trousers and a large collar. The attached shiny blue mock shirt creates all the appearance of a full shirt yet is comfortable and keeps the costume look slick all night! 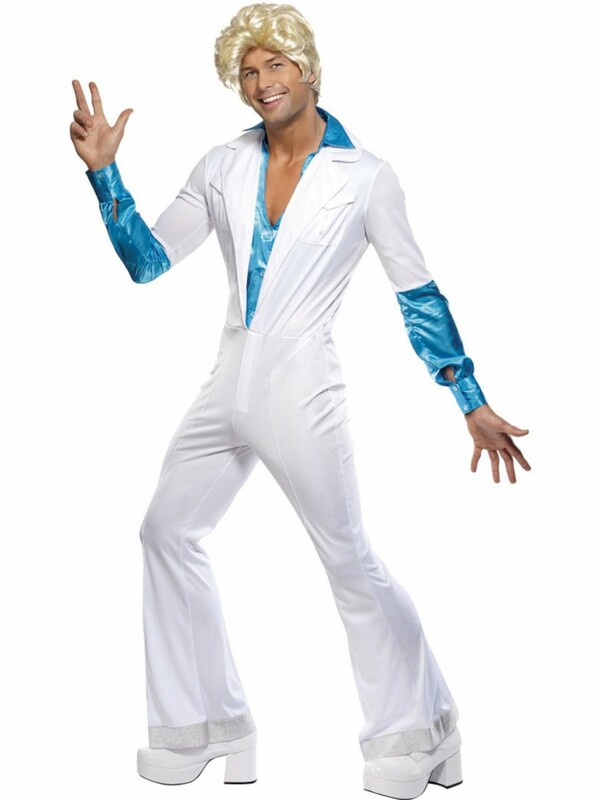 A fantastic decades Disco Costume for Disco fever! 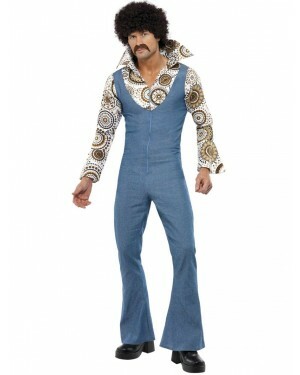 Disco Costume which includes Jumpsuit with attached Shirt.